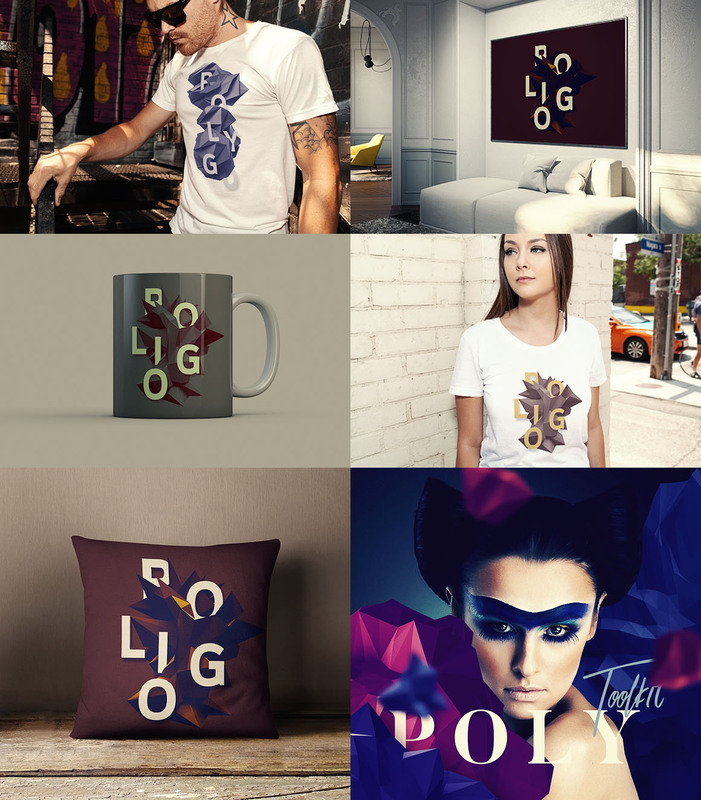 Polygonal Toolkit - Dealjumbo.com — Discounted design bundles with extended license! Polygonal Toolkit - Dealjumbo.com — Discounted design bundles with extended license! 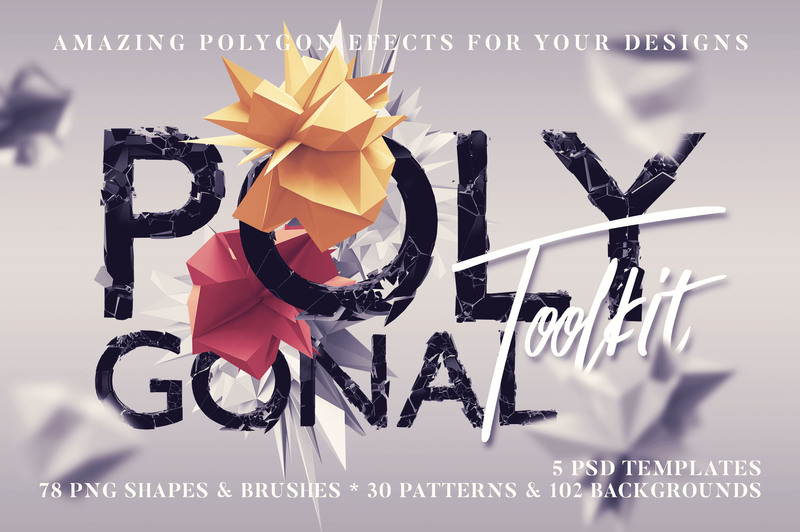 If you’re looking for a ton of low poly or polygon effects, shapes, brushes, patterns or backgrounds for your new project then this bundle is just the thing you’re looking for. Special SALE: Only $4! (regular deal price $9) Ending April 30! 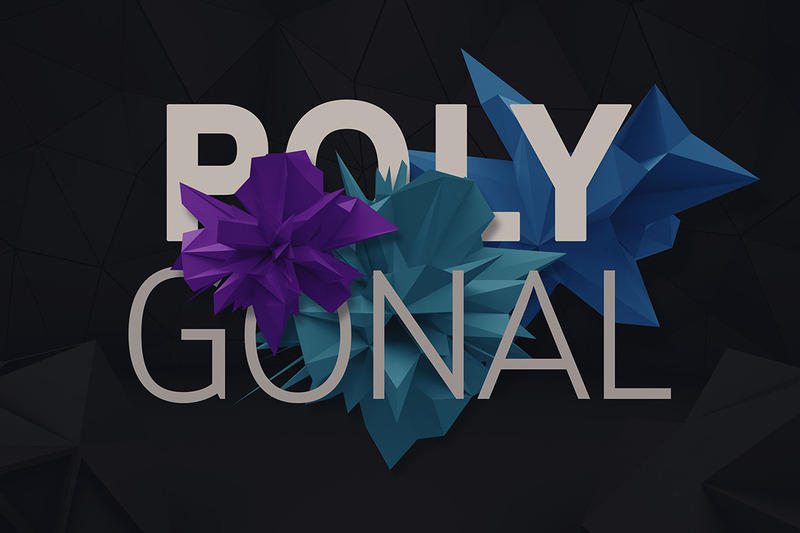 Realistic polygon effects and creations in seconds! You’ll find 78 polygon transparent PNG images in 2 versions,78 brushes in Photoshop ABR file, 30 patterns in JPG & Photoshop PAT file, 102 hi-res backgrounds and 5 layered PSD templates in this bundle! 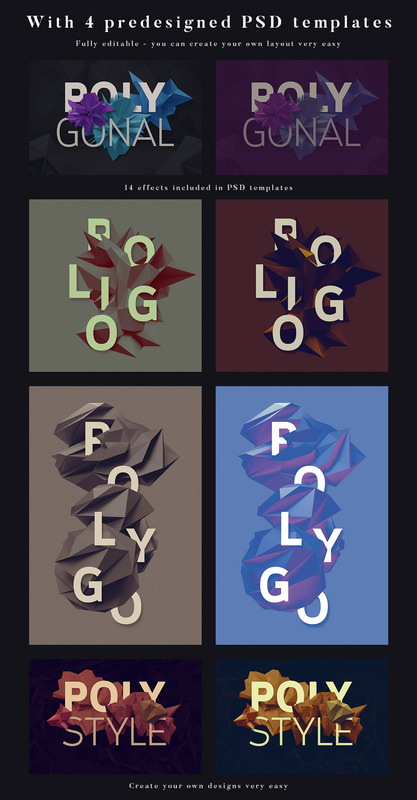 Fully editable and layered Adobe Photoshop PSD templates – very easy to change texts, fonts, logo, product and move some new polygon shapes into this design. With 14 premade effects you can create amazing color effects (you can play also with opacity and change layer order to get brand new results). 78 polygon transparent PNG images, 78 brushes in Photoshop ABR file, 30 patterns in JPG & Photoshop PAT file & 102 hi-res backgounds! 78 polygon transparent PNG images, 78 brushes in Photoshop ABR file, 30 patterns in JPG & Photoshop PAT file, 102 backgrounds and 5 layered PSD templates! Normally, these effects, shapes, brushes, patterns & backgrounds would cost you $49 (without extended license), but for a limited time only, you can get this unique collection for $9!